I stood on the cliff edge, knowing that no matter how much I wanted to, I couldn’t go back. The only way was forward, off the cliff. I hesitated, scared of what lay ahead and wishing I could return to the comfort and safety of the past. Eventually I decided to leap figuring that I couldn’t fly if I didn’t. I opened my eyes and jumped. I didn’t fly; I didn’t soar. I plummeted down into the murky water. At least I didn’t hit the rocks, though I can feel the sting from where they scratched and cut me. I cannot see a way out of the water. Instead of flying, I am desperately paddling, trying to keep my head above water. I am exhausted and want to give up, but giving up means drowning. Every now and again I feel the plants beneath me, curling themselves round my legs to pull me under. So far I have been able to kick them off, but I fear that I can’t keep them at bay forever. I do not know how much longer I can keep myself afloat. Each day is a struggle simply for survival and I can feel the water deepening beneath me. There are only three options. I can drown. I can keep paddling until I am saved or run out of energy. Or I can try and find a direction to swim in, but if I don’t reach land or a boat, I will drown quicker this way. I know I should swim – that’s what everyone tells you to do. And I want to swim. But I don’t know how to navigate the waters, and I don’t want to waste my energy on going deeper out to sea. Yes, I am scared. I believed I could fly but with every moment that hope is being corroded. I am not worried about flying anymore, but I want more than to just survive. And that is what I fear I’ll never manage as everything I am is being poured into not drowning. And so I paddle, take a few strokes and paddle some more. I do not know how much longer I can keep this up, but I will not drown without a fight. I have been thinking a lot about where to go next with this blog. A few months ago my plan was to retire this space in favour of a fresh start (I even wrote the ‘goodbye’ post). I know that I would be happy and comfortable with that option; and that’s exactly why I haven’t taken it. I may be ready to give up this blog, but I believe that this blog still has plenty it can teach me – and so I am continuing to post. But I also knew that something had to change. I do ‘enjoy’ writing helpful posts about living with M.E. ; but the fact that almost all my posts were along this vein is what was stopping me from posting in the months before blogvent. I had somehow unintentionally put extra pressure on myself and, while I do hope to go back to writing posts specifically dealing with living with M.E., they won’t be clogging up this blog. Of course, M.E. is going to be a major part of this blog as has become a major part of my life. And in that is the answer of what I want from this blog: to write about my life, my thoughts – basically everything to do with me. I hope to take this blog back to the days when it first started (many ‘mini-essays’ on subjects that had been sparked by my life) but make it even more about me. I want to include more of my daily life here; perhaps more like a journal than a blog. And as I said, I will still include M.E. but it will be more about how it is effecting me day to day rather than advice for others. I know this isn’t what everyone wants to read, and that’s okay. If you don’t want to listen to me going on and on about my personal life, feel free to find somewhere else to spend your time. This is what I need to be writing right now, and if anyone wishes to follow along and join in via the comments and Twitter, then I welcome you with open arms. I cannot know what I will actually be writing, as the whole point is to learn and discover more of myself in the process of writing here, but I am definitely excited to find out where it will lead me. I still post book reviews on Captivated by Books (I’m aiming to post one every Tuesday from now on). And, as I mentioned, I do have plans to create a new space dealing specifically with M.E. and Chronic Disability. As soon as it gets off the ground (keep your fingers crossed for me), I will update here and on Twitter. But for now I am going to experiment a little in this space, so apologies for the rather random posting that is certain to ensue, until I find where I am going next. Falling Through the World is a fictional story of a teenage girl’s plummet into M.E. While this book is fictional, it is greatly influenced by the author’s own experience of living with M.E. Personally I feel that this is a book for friends, family and carers of those with M.E. as it gives a clear picture of what it is like to be struck down for no apparent reason, and then have to continue trying to live any kind of life. As someone with M.E., I found certain parts (particularly towards the beginning) of the novel physically difficult and distressing to read as it brought up some of my own memories; therefore I wouldn’t recommend it to anyone suffering from a Chronic Disability (other than if they wish to read it to advise friends and family of how their own experiences relate to it) as I feel that it could cause unnecessary pain and depression. As a reader I felt that the prologue was unnecessary as it didn’t add anything to the story, and in fact made me less interested in reading on. Instead, I believe it would have benefited from an introduction forewarning readers that not only is the case of Sarah (the main character) extremely severe, but that everyone reacts differently, with different symptoms (not all of which are mentioned in the book), to M.E. and I would strongly suggest that any friends or family of sufferers are advised of this. There are not many fictional stories about M.E. and this book highlights one of the reasons why not – it is impossible to create an enticing plot about becoming ill, possibly with little hope of recovering. Any story of this kind is going to be completely character-driven and unfortunately I felt that this is where the book fell flat. Sarah is an average teenager, who has an average life, with an average family and average friends. The problem is that she is a generalization of a ‘typical teenager’ and therefore it is difficult to have any feelings towards or about her. 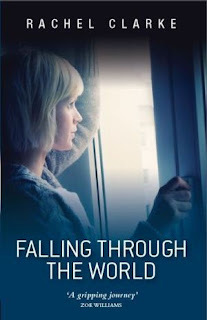 I think this story would definitely have benefited from a little bit more of an introduction, showing what Sarah is actually like – what her hopes and dreams are, what she thinks about - as this would give the reader some attachment to her and therefore would become more involved in the emotions of what happens to her. This was true of all the characters, and even to some extent the symptoms of M.E. As there is no ‘average’ set of symptoms I found this a bit frustrating as I know I will have to explain this to each person I advise to read it; it is something that should have been included in the introduction. However, I do believe that the emotions that Sarah feels such as loneliness, anger, frustration and guilt, are likely to have been felt at some point with anyone with a chronic disability. For those of us who need to know these emotions are normal, and for those wishing to understand how M.E. or any chronic disability effects the sufferer emotionally, I would definitely point towards this book. Overall I felt that, while this isn’t the best-told story, it is a great start towards showing what living with M.E. is like, for those who cannot understand it. As I’ve mentioned, there are very few novels or stories about M.E., but reading books like this one gives me hope that there will be more on the way. I am a big believer in birthdays. I love the presents and the parties and the general fuss made. When I was younger our special day was always celebrated with gifts and the chance to decide what was for dinner. And then for the rest of the week everyone would make an extra effort to be nice to you because it was your birthday week after all. I remember having a few parties (though to be fair I don’t actually remember any that happened before my 18th – not to say that they didn’t exist). My favourite by far was my 18th birthday party where we rented out a hall and all of my friends and I played children’s party games – pass the parcel; musical chairs; flour cake + apple bobbing – and sat down to have pizza followed by cake and ice cream (unfortunately that was before I had a digital camera so the pics are in storage at my parents). My favourite part of being the birthday girl has always been the presents (I am a very material girl). I love opening gifts and knowing that someone has taken the time to choose something for me (or at least looked at my Amazon wishlist!). You’re probably wondering why I’m talking about birthdays when mine isn’t for another month yet. This year I am doing something different. Something that scares me, but I know it will be worth it. I am still having a party but this year I am asking that instead of presents, I want donations towards AYME (Association of Young People). AYME has literally changed my life. It let me know that I wasn’t alone in how I was feeling with my M.E. I know that there’s somewhere I can turn to if I desperately need help. And I have met others living near me with M.E. (as well as being reunited with a childhood friend – hello Georgina). I used to love receiving the bi-monthly magazine written by members, for members. A few years ago it changed to quarterly. And now it has been relegated to online only as there simply aren’t the funds. Other important services such as the online forum community and phone lines are in danger and that’s why I’ve chosen to do this. It is my 25th birthday so I only have one year of membership left (it is for people under 26), but I don’t want to leave knowing that I could have done more to help them. They have made my life so much better, especially over the past few years, and I would hate for future young people to miss out on what AYME can offer. So I am going for a bit of an ambitious amount I want to raise (hey, if you don’t reach for the stars, you won’t reach them). I want to donate £250 for my birthday but this simply isn’t going to happen without your help. If you can help I have set up a Just Giving page so you can donate safely and securely. Please consider making my birthday wish come true this year and donate as much or as little as you can (to quote Tesco ‘every little helps’) and spread the word. I will be so grateful for every penny you can spare and you know you want to make me happy – after all, it’s for my birthday!